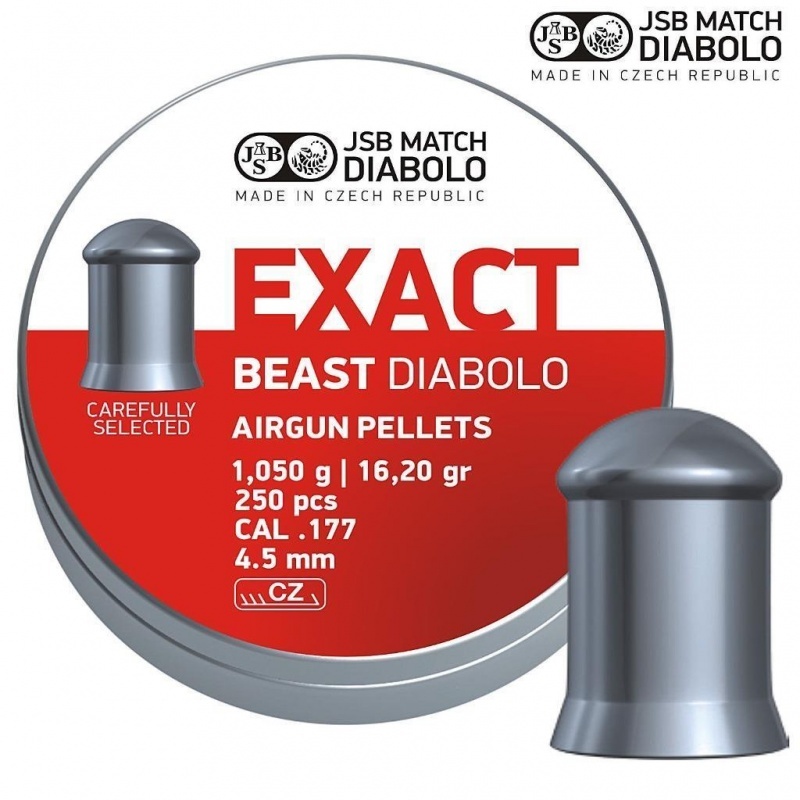 New heavist ammunition for seriously powerful air guns. Have you really got a powerful Air Rifle? Then Exact Beast is the right choice. Heavy. Stable. Accurate. It is being appraised for its low sensitivity for weather and windy conditions.